Using the wizard functionality in SentryOne LegiTest, you can build dozens of tests in minutes. Simply select the objects you want to test, and LegiTest will generate multiple tests covering common scenarios for that type of object. For example, select two tables, and data tests are automatically created to verify the data between the two queries. Select a cube to test, and dozens of tests are created to validate the measures against the data warehouse. Even if you have a more demanding test that isn’t covered by our wizard, LegiTest integrates into familiar tools so you can build tests in Visual Studio / SSDT. 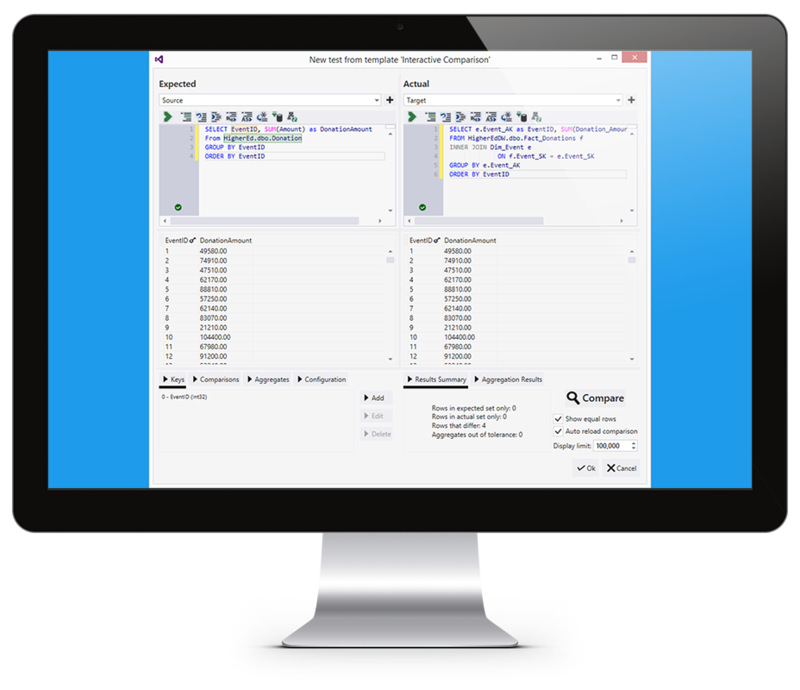 Because the tests are contained in a standard Visual Studio project, they can be checked into your source control system side-by-side with your other project assets. All of this can be done without any coding experience. 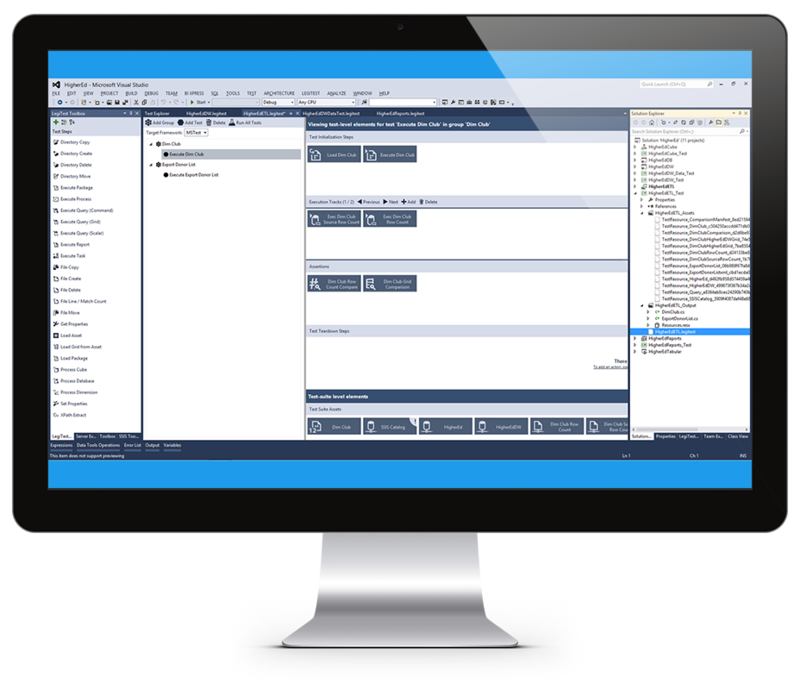 The LegiTest user interface resembles other tools, like SSIS, where you simply drag the boxes onto the screen to create a testing workflow. LegiTest’s Comparison Editor makes it fast and easy to set up comparison tests for your data. When comparing data from two sources, the Comparison Editor allows you to preview your results to ensure they are set up exactly the way you want them. 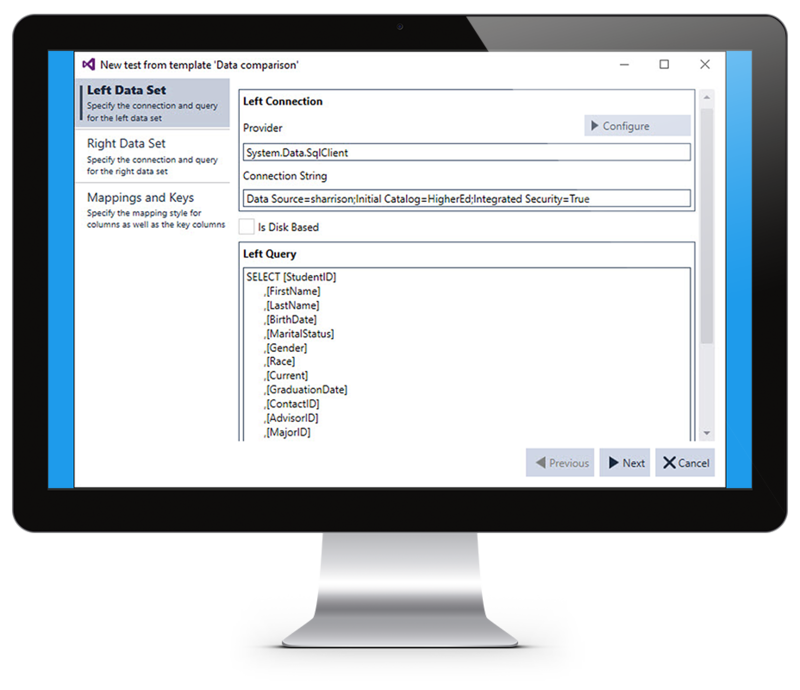 Create comparisons across ADO.NET, OLE DB, ODBC and REST sources of data. 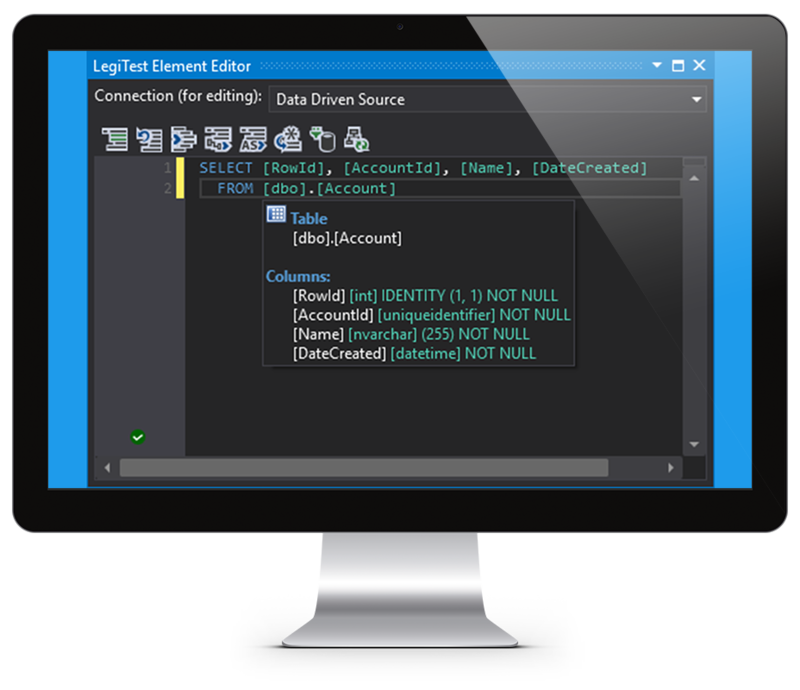 SentryOne LegiTest’s Query Editor provides an advanced editing experience when connected to a Microsoft SQL Server or Azure SQL DB instance. You can select the connection from the drop-down at the top of the editor, which will load information about the schema of the database against which the query will run. The selection is remembered for the duration of the session.